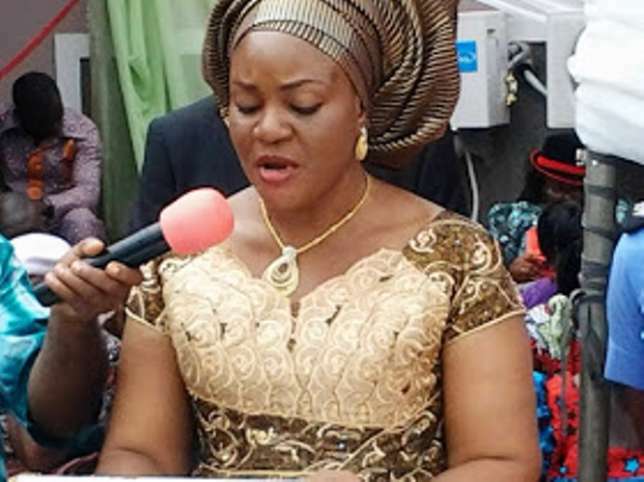 A group, under the aegis of Benue South Political Forum for Peace, has enjoined the general public to disregard the comment being credited to wife of Governor of Benue state, Dr. (Mrs) Eunice Ortom against Idoma people. There has been a strong rumour alleging that the Benue First Lady warned Zone B women not to vote for the guber candidate of the All Progressives Congress (APC), Barr. Emmanuel Jime, as his wife hailed from Idoma land, the rumour which has elicited some criticisms from many quarters. The group said its members and some other Idoma stakeholders were at the said rally but there was nowhere the First Lady made such statement, adding that, Ortomâ€™s wife who also has link with Idoma people could not have made such a comment as being alleged. â€œHer Excellency, Dr. Eunice Ortom, who the mischievous statement was credited to, has her roots traceable to Benue South with respect to her grand parents. Furthermore, her son is married to an Idoma lady. Would it then not amount to shooting herself in the foot if she makes such utterances? â€œIn any case, she is not known for engaging in such petty and mundane issues. Recently, after her husband parted ways with his erstwhile godfather, Sen. George Akume, the Benue First Lady took out time to condole with the Sen. Akume family over the demise of his mother-in- law. â€œHer love and care for the Benue woman and the youth of which we are witnesses knows no bound. This is exemplified in what her Eunice Spring of Life Foundation, a Non Governmental Organisation (NGO), which is committed to making life better for these group of people is doing in the senatorial districts. Testimonies abound of her medical outreach programmes in the area where no fewer than 2,500 women of Zone c are beneficiariesâ€, the group said. The forum also enjoined politicians and political parties to avoid comments that will incite the people of the state to violence. â€œIt is our appeal that they should engage the people based on issues as they advance reasons why they should be voted into power and not character assasinationâ€, the statement added.